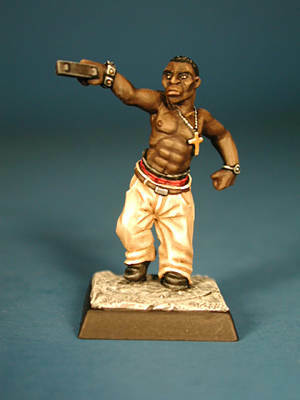 "Thugz" are modern day hoodlums sculpted by Bobby Jackson, that can rule the mean streets of your tabletop miniature game. They are sold as four per pack or twelve for the complete set. 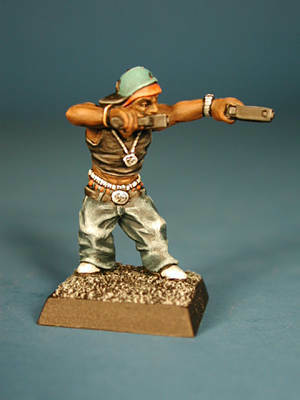 All Thugz are one-piece miniatures and are supplied unpainted. 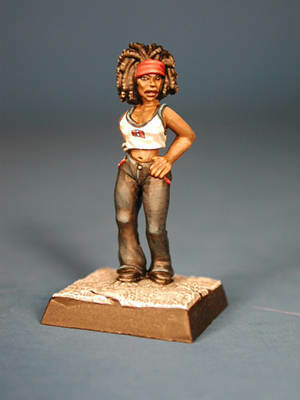 Cast in metal and are approximately 30mm in scale.